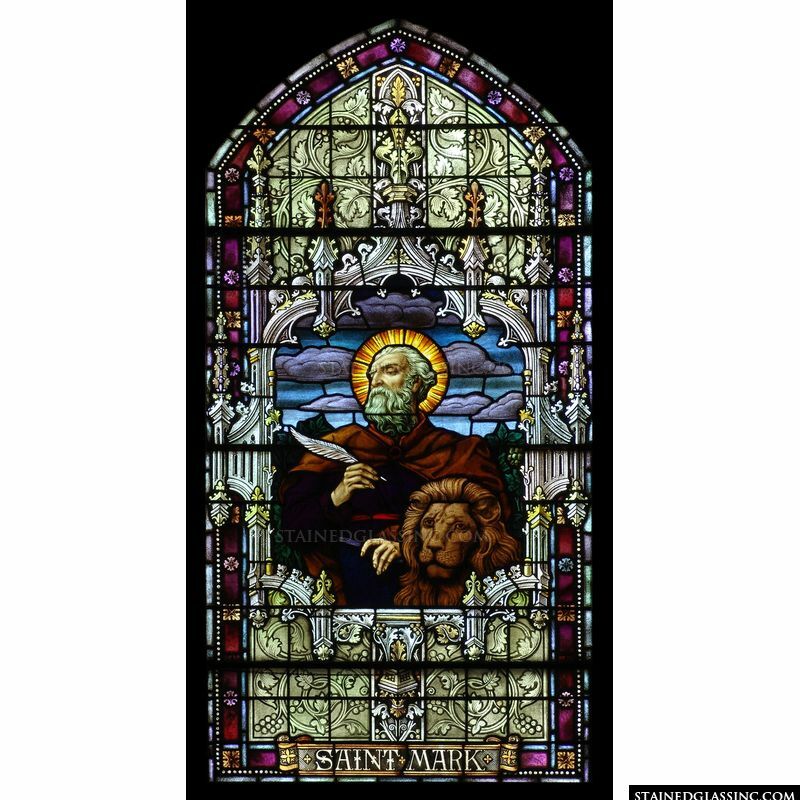 A beautiful Gothic filigree design borders a depiction of Saint Mark and his winged lion as part of this arched stained glass window. 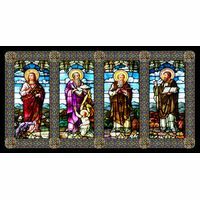 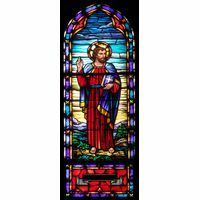 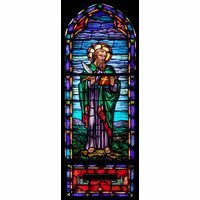 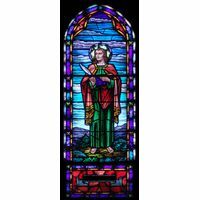 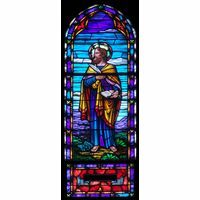 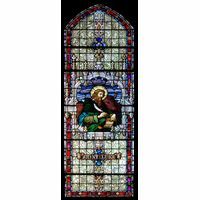 Classically displayed in the traditional style of old world stained glass art, this work is a study in perfect symmetry and play of light on color. 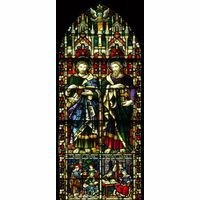 Rich, brilliant hues that cross the full palette of color and intriguing textures that capture and reflect rays of light dancing along the surface in shifting shades and patterns throughout the day make this work of art a true stained glass masterpiece. 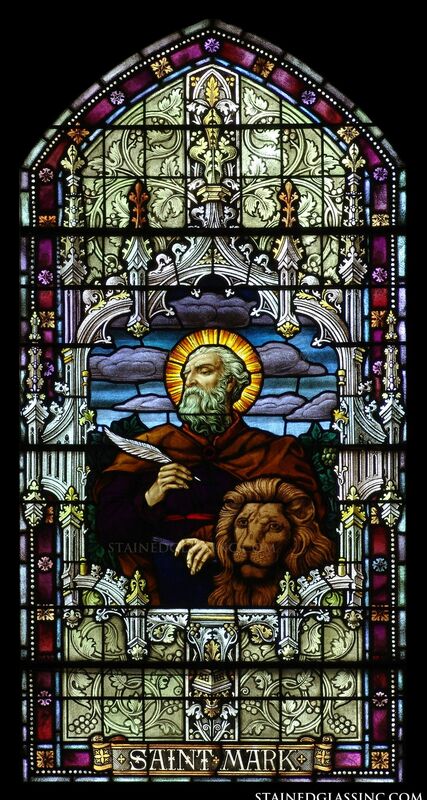 Brought to life by realistic, flawless imagery, from the moving expression on this holy saint's face to the details in the depiction of the lion, this work of stained glass art dazzles the eye and touches the heart of all who are blessed to contemplate its beauty. 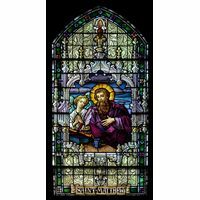 A sacred image inspired by cathedral stained glass.